The project Construction Inheritance ended successfully last october. 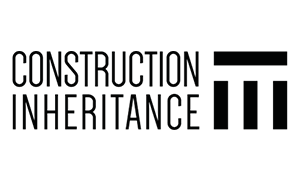 This project, led by FLC (Spain), took into account procceses, tecniques and materials applied in restoration field of European building heritance in order to put in place a renewed training paths, with updated training contents and learning outcomes. The project aimed at recapturing the know-how of workers with great experience in the traditional processes applied to the building industry, but due to some structural and production factors, such as works specialization or productive processes industrialization, great part of this know-how is being lost for the next generations, jeopardizing the necessary generational change. The project collected both factual knowledge and competencies regarding traditional techniques of restoration, in order to facilitate its transfer through training to young professionals from construction industry, guarantying that way its future preservation, the generational change as well as a proper restoration of traditional elements of old buildings. – Set up the methodology and tools to realize the field study in France (observation / case studies and interviews). – Put together the proposal of “SKC” proposed by different partners. – Definition of the didactic guide along with the rest of partners. – Gather information regarding technical production of learning outcomes. – Collaborate with the selection of the best software and its developer for the APP. – Collaborate with the instructional system design. – To carry out the pilot experience in France. – Coordinate the Pilot Experience in France following the established indications. – Collect the results got after the trial execution. – Propose improvements to the APP from a pedagogical and technical point of view. – Propose systematization processes and templates intended to National Advisory Group (NAG) collaboration. – Describe the new skills in terms of qualifications (KSC) as defined in EQF methodology. – To sign the MoU (Memorandum of Understanding). – Set up Learning Agreements. The partnership was composed by: BZB (Germany), Formedil Puglia (Italy), Centre IFAPME Liège-Huy-Waremme (Belgium), CCCA-BTP (France), CENFIC (Portugal). This project is letting the people know about how they should perform their activities.The ox essays review will provide all the required information for the development of this project. There are some definite and useful rules for the construction of the building industry.The writing service is always available for any kind of help for the people involved with the building industry. I just want to say I am just beginner to blogging and definitely liked this web page. Almost certainly I’m want to bookmark your website . You absolutely have outstanding writings. Thanks a bunch for sharing with us your webpage. I simply want to say I’m very new to blogs and seriously savored this web-site. Probably I’m planning to bookmark your website . You surely have beneficial stories. Bless you for sharing your webpage. Its quite interesting and worthy post you have shared to us. I would just want to say you have done valuable job by providing interesting post. This is an awesome project that you guys made successfully. Your project’s aim of recapturing the know-how of workers with great experience in the traditional processes in the building industry is a big help in reshaping the future of the world. Amazing! I wonder how you guys made this possible. What were your findings in restoring the properties of old buildings? Can you share that with us inconcrete contractors knoxville tn?